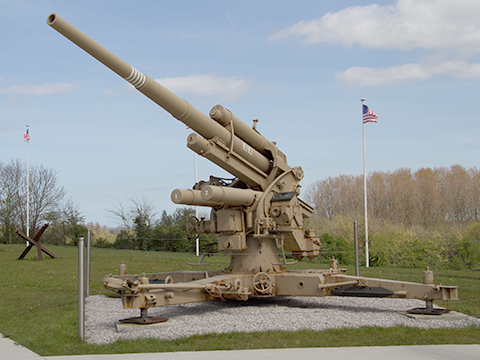 Our site includes two museums dedicated to the airborne troops who fought during World War II, an airborne wall memorial and two shops (militaria and gift shop). You can continue your visit with the historical trail to retrace the steps of the men of the 101 Airborne Division. 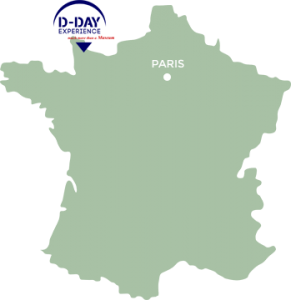 Created in 2005, D-Day Experience originally consisted of Dead Man’s Corner Museum and the Paratrooper shop. 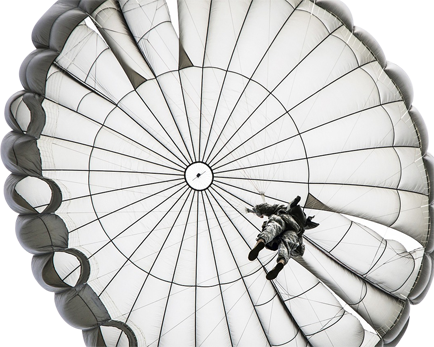 Both founders, Emmanuel Allain and Michel De Trez specialize in airborne troops. They are recognized authors and passionate researchers of the Second World War who always had for objective to develop their own site. In 2015, 10 years after the opening of the first museum, the inauguration of the extension hosting a quite unique attraction took place: a high-tech flight simulator aboard an authentic C-47 aircraft. 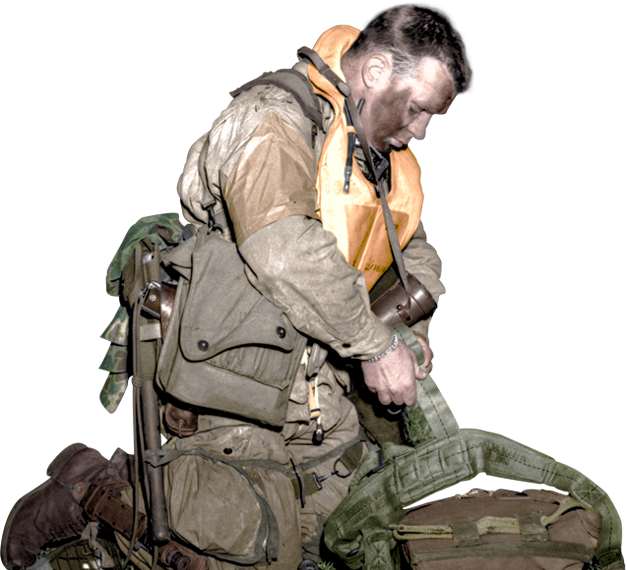 D-Day Experience is also a collection of artifacts of an extreme rarity: indeed, every object featured is nominative and precisely identified. It’s thanks to the story of all these men that the museum takes you back to 1944 in the footsteps of Colonel Wolverton and his brothers in arms. D-Day Experience will make you live D-Day alongside the American paratroopers. Relive all the preparations for June 6, 1944 invasion with Lieutenant Colonel Wolverton, before embarking on a genuine C-47. Then, immerse youself in the heart of the fightings through nominative objects and attached story of their owner. You will then discover that their story is closely linked to ours. The house in which is established the museum is a historical place. It was the headquarters of the famous German paratroopers of the 6th Regiment. This building was the subject of a tug of war opposing the men of the 101st Airborne Division to the fearsome “Green Devils”. Go back to 1944 as you visit this restored house as the exact state as when the Germans occupied it. The land outside the museums covers an area of 10 000sq where you can see various historical items such as the legendary 88mm German gun, beach obstacles including a Czech hedgehog, the one of the five steel gates still remaining in the world to date, the Stuart tank and also the Airborne Wall Memorial, the monument honoring the airborne troops and crew members of the C-47. D-Day Experience is open every day thoughout the year. The museum is closed on December 24th, 25th and 31st, January 1st 2018. 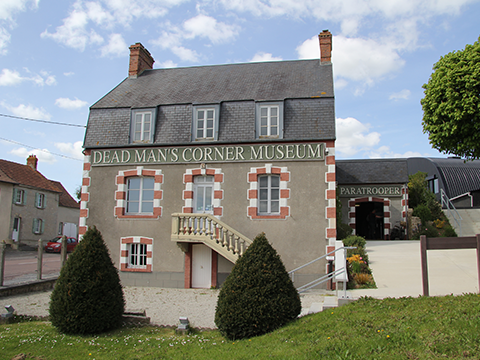 The entrance for the combined 2 museums (D-Day experience + Dead Man's Corner Museum) costs 12€/adult, 9€/child (6-17 years), 10€ for the groups (min of 10 people) and 6€ for the school groups. The Family pass (2 adults + 2/3 children) is at 40€. Free for children under 6 years old (excluding flight simulation).